It's the one of the projects I did last year in the university. The collection is called ''Metamorphosis''. I was trying to express the evolution and degeneration: beginning with the form of the perfect cube which grows slowly with an every step. 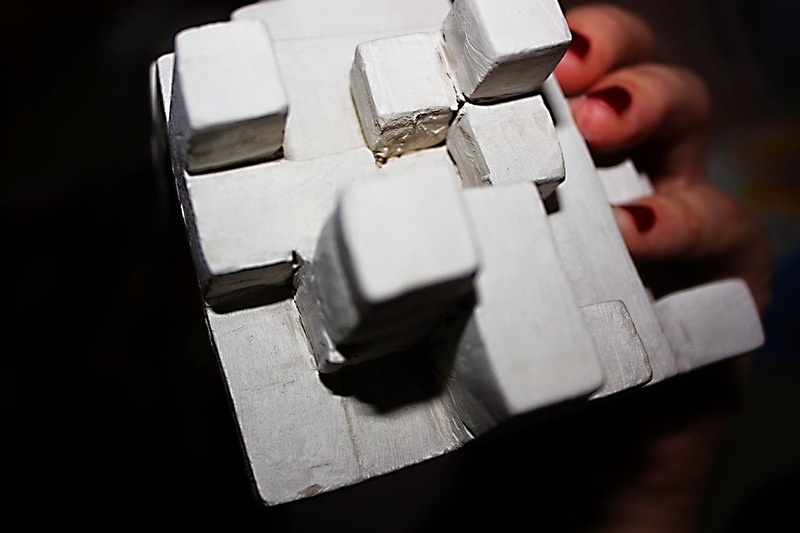 In the sixth phase the cube has transformed in the something that looks like cube itself but only inside-out. The main idea of the work is to express the movement and change from the clear geometric form to something almost not definible only in six steps. This project was absolutely the beginning of the collection based on the form of cube.